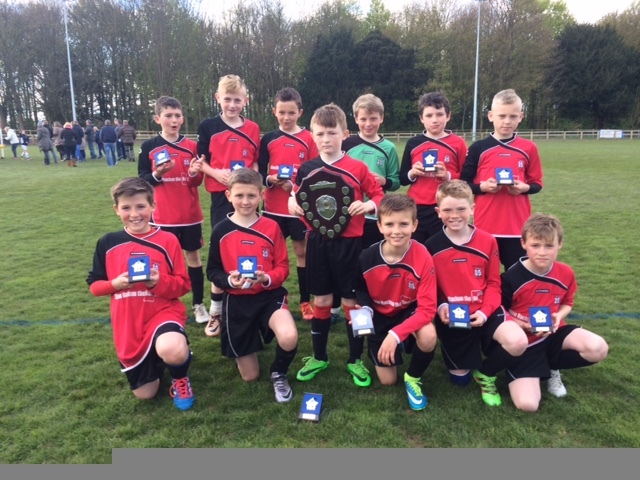 York Under 11 schoolboys produced an outstanding performance in the Green Un Cup Final held at Bishop Burton, despite losing the final 2-1 York took the pre-final favourites Leeds to the very last minutes of a pulsating game. The very same Leeds team had the psychological edge having heavily defeated York in their League fixture played only weeks ago but the York boys lifted themselves and were only two minutes away from taking the game into extra-time and penalties. The game started with Leeds dominating the first twenty minutes of open play but fine Goalkeeping from Noah Ellis combined with strong defensive play from Mathew Dawes, Will Hotson and Oliver Darley stifled the many Leeds attacks, however York did concede when a fine whipped in cross was met by the Leeds striker giving them a narrow lead 1-0 lead. York reacted with a more positive approach and the midfield of Max Ezzard, Kaiden Butler, Owen Dunckley and Ellis Cattaneo started to get on top taking the game to Leeds. Finally on 37 minute a well delivered cross was met superbly by York substitute Cole Gayle flicking his header goal bound 1-1. York were now on top and continued to create half chances but could not convert. With only two minutes remaining the Leeds winger with what was their final attack managed to slip past a couple of tackles and before the York keeper could set himself managed to toe poke the ball into the York net from a tight angle. York still managed to create a last gasp effort which went agonisingly over from defender Will Hotson. 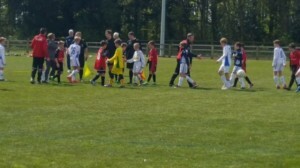 Despite the result York had proved worthy finalists in a very entertaining Cup final.